The European Union (EU) has urged South Sudanese worrying parties to observe the provisions of the Cessation of Hospitalities Agreement, saying fighting continues in some parts of the country. The call comes despite the sides on Friday reconfirming their commitment to the Revitalised Agreement on the Resolution of the Conflict in the country, signed on September 12, 2018 under the auspices of the Intergovernmental Authority on Development (IGAD). “The initial steps taken towards its implementation are going in the right direction and should be followed by others,” said Margaritis Schinas, EU’s spokesperson, adding that it was important that all parties immediately observe the provisions of the Cessation of Hostilities Agreement of December 2017 and disengage and separate their forces in close proximity as agreed by them. He called for the full and unimpeded humanitarian access throughout the country, saying it is equally paramount. He said recent reports have documented grave human rights violations and abuses in South Sudan, some of which may amount to war crimes and crimes against humanity. “We expect all parties to hold perpetrators of violence to account, and ensure that transitional justice and accountability mechanisms are in place for the people of South Sudan,” he said. 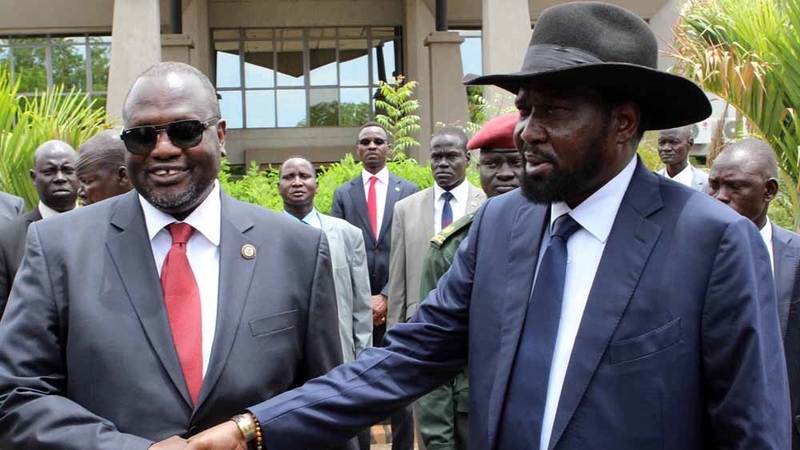 “The full implementation of actions, such as releasing all prisoners of war and political detainees, would build confidence among South Sudanese parties and with the international community and is critical for an effective peace process, with political and economic inclusiveness, transparency and accountability,” he said. He empahsised the role of IGAD and its member states in the implementation of the Agreement. “IGAD and its member states have a central role to ensure that the Agreement is implemented by the parties,” he said, adding that the EU would continue to support the region and to show solidarity with the people of South Sudan and that it remains committed to accompanying the South Sudanese on their journey towards peace, reconciliation, stability and resilience.